It was great to be featured in Bbaby Magazine – I am thrilled! 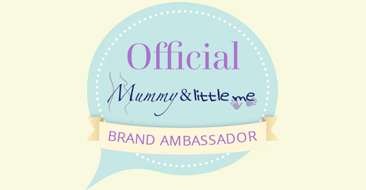 Minime and Luxury have been running a baby concierge service for more than 10 years now. Having previously worked within the Childcare industry for over 15 years, as a Supernanny, Private Maternity Nurse, Sleep Trainer and Baby Concierge, I have a wealth of experience. A Baby Concierge is someone with a wealth of experience of the baby market, who will be able to sit down with you and discuss your lifestyle, then recommend products, equipment and services that will really fit with the way you live. Some will suggest items, other will buy them for you and even deliver and build them in your home. A premium service, it’s like having an expert on hand whenever you need to decide which pram or car seat to choose, what furniture will best suit (and fit) your home and the best places for gorgeous baby clothes. “Minime and Luxury provides a global bespoke Baby and Children’s concierge service, beginning before conception and continueing along your parenting journey. We operate on a highly personalised level and offer a wide range of unique services. We can organise private store visits, pre-release viewings, bespoke collections and take care of all your children’s wardrobe requirements season by season. “We are proud to offer an unrivalled Luxury party planning and event management service, from Baby Showers, Birthday Parties, Bar mitzvahs and a super Sweet Sixteen the event will be one your guests talk about for years. Minime and Luxury works with an amazing array of top class suppliers and take care of every detail enable you to enjoy and relax on the day. “We also offer a travel service. Taking pride in working with a hand-picked selection of travel providers, we can assist with a wide range of travel needs from Yacht and private aviation requirements to creating the holiday of your dreams, utilising our recommended selection of hotels, private villas, private islands and unique travel experiences. Minime and Luxury also offers a full travel support concierge service ensuring that when you arrive at your chosen hotel, babies and children are fully taken care of; from toys to essential baby equipment ,we ensure that when you arrive everything is in place. Photography: From bump shoots to family portraits, we can recommend the World’s best photographers and take care of all the details such as props and location and will always ensure our clients retain 100% copyright. VIP Family Experiences: Our bespoke VIP family experiences are unique from client to client and the world is your oyster, from a full Summer Holiday itinerary incorporating unique theatre experiences, a magical trip through London in your own iconic red bus and holding your own sports day with top athletes in attendance. Minime and Luxury can organise a bespoke lifestyle experience during your vacation wherever this might be. Staff Recruitment: We can organise sourcing and headhunting of world class Maternity Nurses, Night Nannies, Nannies, Mannies, Tutors and Governesses. Minime and Luxury offer a bespoke consultancy service to Hotel Groups and Resorts to give advice and recommendations on providing guests travelling with babies and children an unrivalled service. We work with the client in their home or accompany them to stores and work with a wide range of brands such as Bugaboo, Stokke and Silver Cross and many more. We advise on car seats and have undergone car seat training. Furniture: Bambizi, The Baby Cot Shop, Dragons of Walton Street and Tartine Et Chocolate Clothes: Moschino, Roberto Cavalli, Burberry, Stella Mccartney, Gucci, Bonpoint, Kissy Kissy and The Bonnie Mob Practical: Bloom, aden + anais, Ergobaby, Bamford baby skincare, Storksak changing bagMy particular favourites collaborations were the Rachel Zoe collection from Quinny, the Aston Martin Silver Cross edition and the Jeremy Scott collections with Cybex. I love shopping at Dragons of Walton Street, Blue Almonds, Trotters and The Baby Cot Shop for clients. For practical items I recommend the Medela breastfeeding range, I adore the love to dream swaddle for newborns, aden + anais and Baby Mori. We offer a full nursery set up service, unpack and assemble all equipment and make up buggies, car seats, unpack clothing etc. We often do this service on yachts, second homes and all over the globe. What’s the most commonly asked question by parents-to-be? 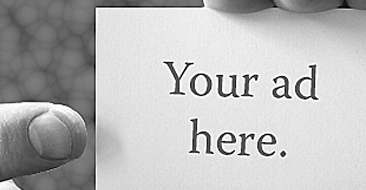 Do you find that you often answer question, fears and worries from your clients? Yes, I find that due to my experience as a private maternity nurse, I can answer a wide range of questions. I also find that now I have my own child, I can relate more to expectant mothers and appreciate their anxiety and concerns. I also think that a great deal of concerns are about nannies, nurseries and post-natal fitness and because I have helped numerous clients on this journey, I feels confident that I can address almost any concerns. What has been your oddest request? Setting up a full nursery in two different countries in two days – but I got it done. What was your favourite incident or something you helped with? One of my favourite experiences was helping a client moving from abroad to the UK, which was proving to be very stressful for her. 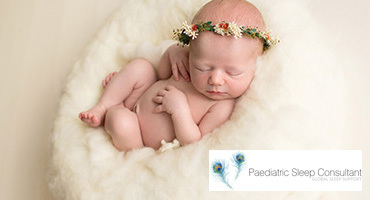 I hired all the household staff, organised setting up her nursery, getting her a great team of professionals for the birth and the photographs afterwards and I still work with her as a childcare and product advisor. I have worked all over the globe and my favourites places are the Middle East, USA and the Caribbean. I regularly contribute to the press on a wide range of topics, usually concentrating on children and luxury! I am blessed to have a career I love and the reason for starting Minime and Luxury was to reassure people it is okay remain a “person” when you become a “parent” and enjoy life, travel, and stay up late when you want to – it’s all about creating memories and enjoying your parenting journey. I am passionate about baby and children’s products, holidays, restaurants, nursery interior and style. I hope you enjoyed finding out a bit about the industry and we’d like to thank Bbaby Magazine for the feature.